Gringo roll call: Theron! Edgerton! Oyelowo! Seyfried! Copley! Newton! Even M.J.’s daughter, Paris (better call her Miss Jackson, in case we get nasty). The point is, there’s talent a ‘plenty here. The question is why? Director Nash Edgerton (Joel’s brother) never fully commits to either madcap romp or suspenseful manhunt, settling for black comedy that’s never really dark or funny, and a tired, “wrong man” adventure propped up by tired cliches. 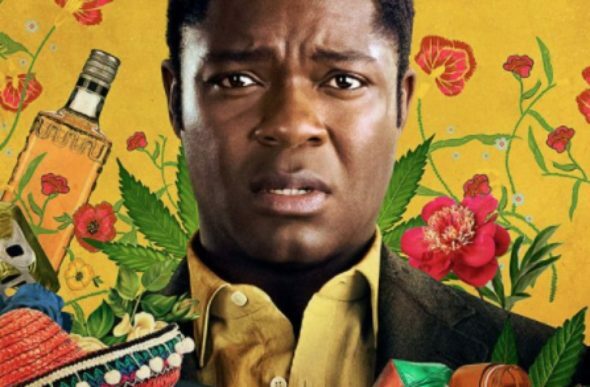 David Oyelowo gives it is all as Harold, a pharmaceutical exec who accompanies his bosses (Joel Edgerton and Charlize Theron) on a business trip south of the border. The deal, like most everyone around Harold, is shady, and quickly dissolves into mistaken identities, multiple kidnappings, and one drug lord who will kill you for bad mouthing the Beatles. That drug lord goes by the name “Black Panther,” a minor point that only reinforces how forgettable this film is. The script, from Anthony Tambakis (Warrior) and Matthew Stone (Intolerable Cruelty) offers scattershot bits of promise, but nothing that provides any solid clue to why all these people signed on. Maybe they all had a good time. Great, but Gringo runs in many directions without ending up anywhere worthwhile, and you’re left wondering just what the point was anyway.